This week, South Korea's Defense Ministry approved a land deal with a local business conglomorate for the deployment of the US Terminal High Altitude Area Defense (THAAD) missile defense system in the country's southeast. Chinese media and experts responded by warning that the deployment could lead to the collapse of Chinese-South Korean relations. On Tuesday, the South Korean Defense Ministry confirmed that it was planning a land swap deal with Lotte Groupe, a South Korean mega-conglomerate. Under the deal, Lotte would receive a state-owned plot of land near Seoul in exchange for one of its golf courses in the country's southeast, where the THAAD system is expected to be deployed. A day earlier, Yonhap clarified that up to nine launchers with eight missiles apiece may be deployed in the region. The system, designed to intercept short, medium and intermediate range ballistic missiles at the terminal incoming stage, could become operational as soon as this June. The deployment is ostensibly meant to help deal with the nuclear and missile threat posed by North Korea. Russian and Chinese officials have repeatedly urged Seoul and Washington to reconsider the missile defense system's deployment. At a meeting between Russian Deputy Foreign Minister Igor Morgulov and Chinese Assistant Minister of Foreign Affairs Kong Xuanyou on Tuesday, the two sides reiterated their "grave concern and strong objection" to the THAAD deployment, and called on the US and South Korea "to respect China's and Russia's reasonable and fair concerns over security," and not to threaten the strategic balance in the region. The same day, the People's Daily, the official newspaper of China's ruling Communist Party, went a step further, responding to the land deal reports by warning that "South Korea's approval for the THAAD deployment has turned the [Korean] Peninsula into a powder keg." Xiakedao, a social media account affiliated with the People's Daily, stressed that "if THAAD is deployed in South Korea, China's relations with South Korea could conceivably be effectively severed." Sputnik asked Da Zhigang, director of the Northeast Asia Research Institute at Heilongjiang Academy of Social Sciences in China, to weigh in Beijing's sensitivity to the issue. 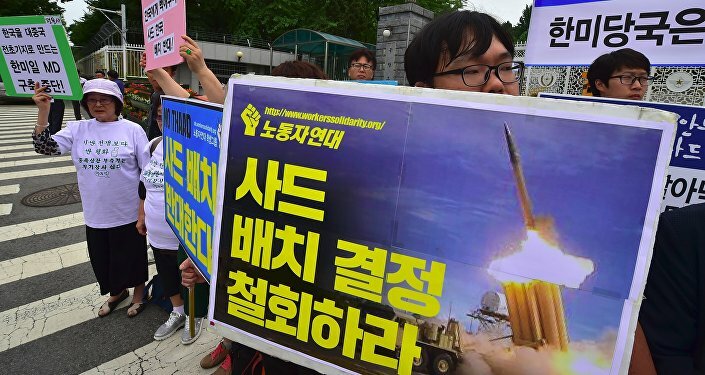 The expert stressed that the THAAD deployment in South Korea is understandably a "hot-button issue" for China, since it is difficult to resolve, and affects the security and strategic stability of the whole of Northeast Asia. According to the academic, US missile defense in the region also opens a Pandora's Box of other security problems. "Will Japan deploy its own missile defense in the future? Will there be expanded US-Japanese cooperation in South Korea in the field of missile defense?" Effectively, Beijing's concerns stem from the fact that a few THAAD batteries may actually be the first step toward a broader missile defense effort that could challenge China's nuclear deterrent. As for Xiakedao's warnings that Beijing might sever relations with Seoul over the issue, Da Zhigang noted that even if things don't go that far, decades of fruitful diplomatic cooperation certainly are threatened. The expert recalled that "since the establishment of diplomatic relations between China and South Korea in 1992, and up until July 8 of last year, when Seoul announced its intention to deploy the US missile defense system in the country, cooperation between the two countries had developed rapidly across virtually all areas, including trade and economic cooperation, politics, culture and tourism." Unfortunately, Da Zhigang noted, during the tenure of President Park Geun-hye, a series of decisions were made "which violated the traditionally established positive approach to relations…For example, Seoul's agreement with Japan on the issue of 'comfort women' [during the Second World War] is something no one in China could even imagine coming to an agreement on. Furthermore, today Seoul stubbornly insists on holding to its position regarding missile defense." To Beijing, Seoul's position on the latter issue is particularly aggravating, the academic noted, particularly since it has a negative impact on the security of South Korea itself. "The South Korean government's position affects China, spoils relations with China, but simultaneously fails to account for the public interest in South Korea itself." For example, even if it doesn't lead to a total breakdown in relations, the THAAD issue could result in "a boycott by Chinese consumers of 'everything Korean', including the refusal to choose the country as a tourist destination, or to buy goods made in South Korea." 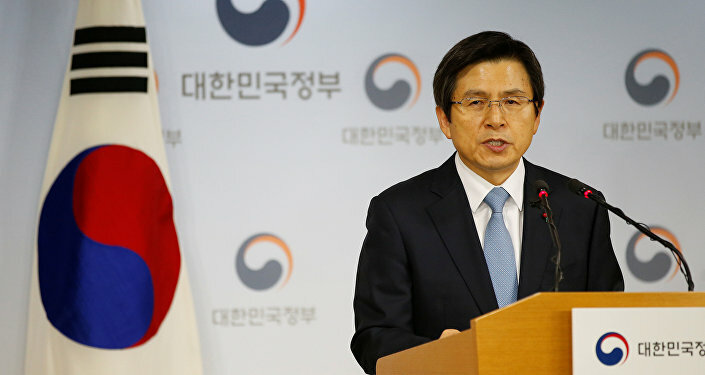 Therefore, while Seoul may be able to withstand political pressures at home and diplomatic pressures abroad, it remains to be seen how the country will deal with China's economic countermeasures – including if the Chinese stop buying South Korean consumer goods, such as cars or mobile phones, en masse. This, Da Zhigang stressed, would lead to "slowed economic growth, stagnation and decline. Economic circles in South Korea will then regret the government's decision regarding missile defense." Ultimately, the analyst warned that if the two countries do have a falling out over the issue and break off relations, this will trigger new tensions in Northeast Asia, as well as a tightening of the US/Japanese/South Korean alliance, and possibly even Seoul's involvement in the South China Sea issue. "Then, the main problem will no longer be about just a step back in relations," but something much more serious, he warned. "For now, while the missile defense system is not yet deployed, the possibility to mitigate the situation still exists," Da Zhigang stressed. The question comes down to whether Seoul will be able to take China's interests, and those of Northeast Asian security more broadly, into account. After all, he noted, this issue affects not only foreign governments or broad geopolitical considerations, but the security and material interests of South Korea's own population, and its national interests as well.